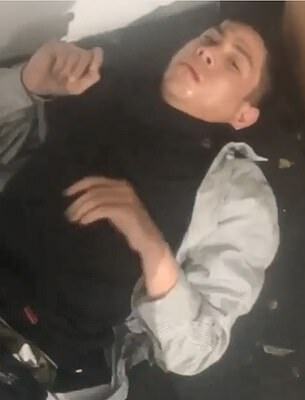 The heart-stopping moment a YouTube star was held up at gunpoint has been captured on a live stream video broadcasted to 900,000 subscribers. 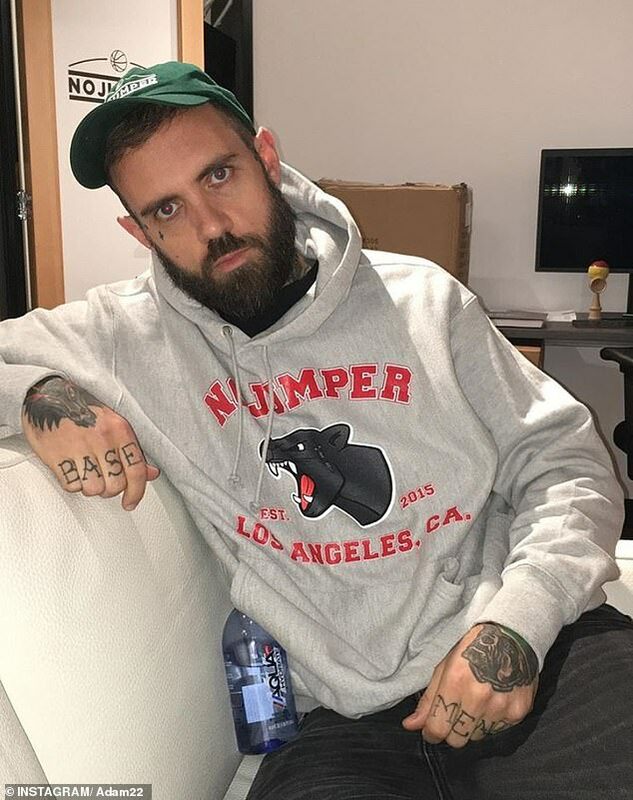 Internet personality Adam Grandmaison – known as Adam22 – was filming a segment for his hip-hop podcast No Jumper on Sunday night when he suddenly found himself staring down the barrel of a gun. 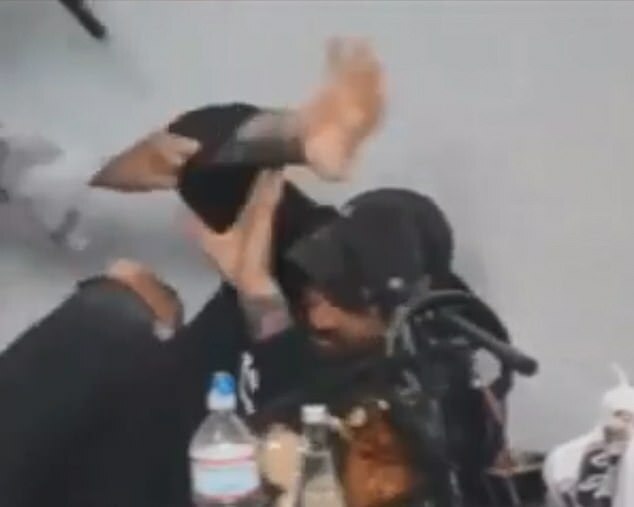 An intruder somehow got into the back room of Grandmaison’s BMX and clothing store ONSOMESH*T in Los Angeles, where he proceeded to pull a gun on the host. 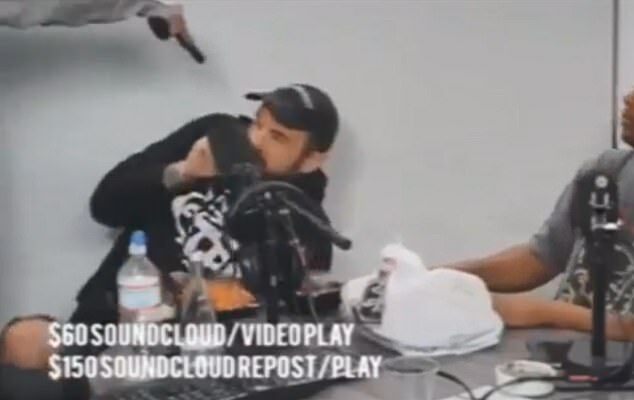 In the video, Grandmaison is about to tuck into his lunch when the firearm pops into the frame, pointing at his head. 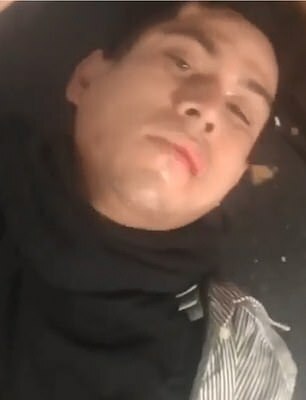 Grandmaison wears a horrified expression as he struggles with the gunman for 14 seconds before store security steps in and knocks the assailant to the ground. 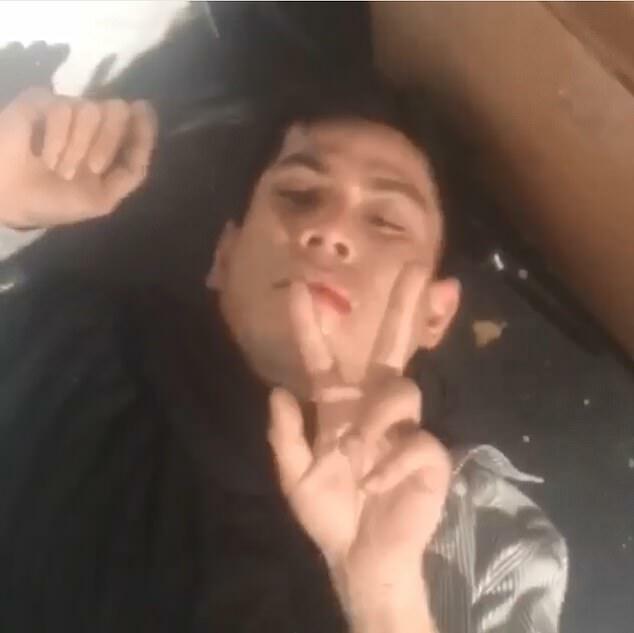 Another video posted to Instagram shows the assailant lying on the ground appearing to be barely conscious as he flashes a peace sign before someone kicks him. 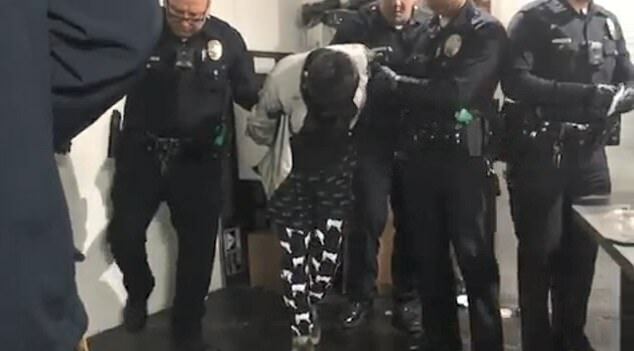 The Los Angeles Police Department responded to reports of the incident and arrested the gunman for attempted robbery with a firearm. The suspect’s name has not been released and police would not confirm whether the gun was real or fake. He also fiercely defended himself against claims that the incident was staged.